Have a fun experience at this winter-themed place. Most of the rides at Santa's Workshop are for children, but there are other things for the whole family to do while inside this village. 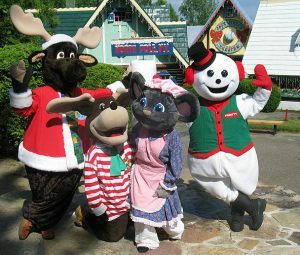 Santa and Mrs. Claus are found in their house, at Frosty's North Pole, which is located at the center of the town, where guests can meet characters and see the forever-frozen North Pole. Have loads of fun with the different attractions we have and experience Christmas adventure even when it is not December. Other Specials & Coupons To view Santa’s Workshop special events, go to their special page by clicking here. Santa’s Workshop updates this page throughout the year, so check back to see if new specials and coupons have come in. Note to our visitors Santa’s Workshop coupons and specials can change without notice. So please visit their official website to make sure of the latest pricing and coupons.